Looking for a sweet pumpkin treat? Limited edition 365 Everyday Value® Pumpkin Pie Cheesecake Sandwich Cremes fit the bill. And if you also live in a warmer climate like I do, 365 Everyday Value® Organic Pumpkin Pie Ice Cream Sandwiches are for you. And don’t forget the 365 Everyday Value® Organic Pumpkin Pie Spice. Sprinkle it on your morning coffee, mix into your oatmeal or sprinkle on winter vegetables before roasting! Let me take a minute to acknowledge how good pumpkin pie is — so good — and how smart my dad was to insist on having it in August rather than waiting for Thanksgiving — so smart! Hungry for a slice? Check out these riffs on the classic with Vegan Pumpkin Pecan Pieor Pumpkin Apple Pie. And let’s not forget the seeds. Cooking with pumpkin seeds should not be treated like an after thought during pumpkin carving parties. Roasted Pumpkin Seeds are a delicious treat, or take it a step further and try our recipe for Pumpkin Seed Pesto. That’s just the start. 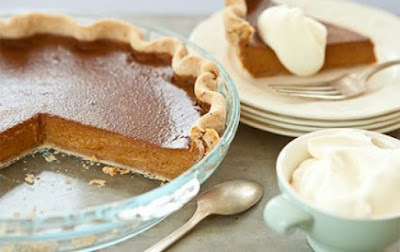 Here are a few of my favorite sweet and savory pumpkin recipes. And don’t forget Fido! Gluten-free Spiced Pumpkin Dog Treats are chock-full of ingredients that are good for your pup. Peanut butter adds tempting flavor that dogs can’t resist. Okay, I can't decide...all of these recipes look absolutely delicious and make me love fall even more!! That cheesecake looks so wonderful!! Mmm, it's finally pumpkin season! Hi, Christine! I love pumpkin soup, but I think I need to try any of these too! Thanks for sharing with us at #OMHGWW, hope to see you next week!